Businessman Hands Signing Digital Signature On Tablet. Vector.. Royalty Free Cliparts, Vectors, And Stock Illustration. Image 49398198. Vector - Businessman Hands signing Digital signature on tablet. Vector illustration in flat design for business concept. 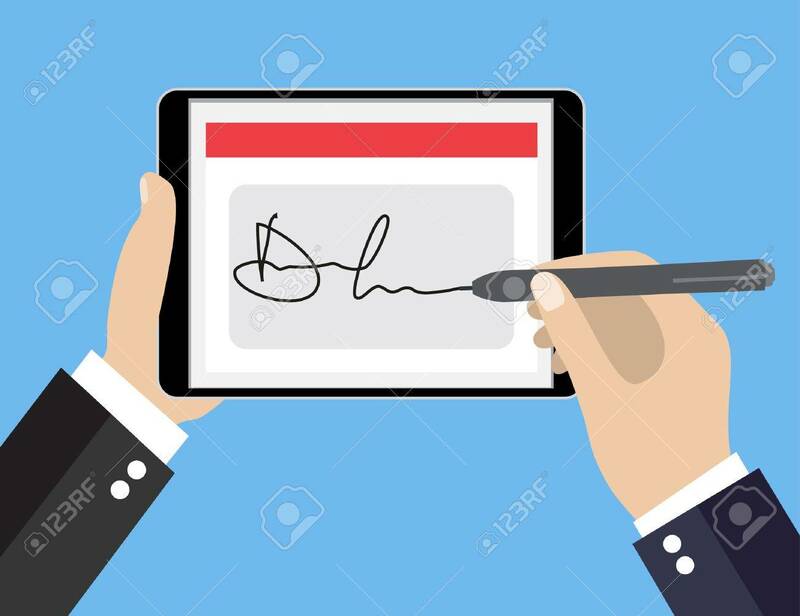 Businessman Hands signing Digital signature on tablet. Vector illustration in flat design for business concept.